Paul Rulkens is a personal and organizational development consultant and professional speaker. He helps improve business results by making people, teams and organizations more successful. Currently, he is responsible for building a high performance culture in DSM, a global material and life science company. Paul recently shared an article with me that he wrote with me about keynote speakers. Trying to find the right keynote speaker for your event can be daunting. There are many variables to consider and the last thing you want is a speaker who is not a good fit for your event. Paul has identified ten common mistakes that people make when hiring keynote speakers. By making you aware of these mistakes, Paul and I hope that you can avoid them, and that your audiences will remember something special from your event (besides what was served for lunch). Below is a summary of the ten common mistakes that Paul has identified. To read the entire article, please click the image at the end of this post for the PDF file. 1. Not defining what a successful event will look like. Your business event has a purpose. Ask yourself (or the person responsible for the event) the following questions: What do you want your audience to know? What do you want your audience to feel? What do you want your audience to do? Once you have clear answers, you can start looking for a speaker who fits your needs. 2. Not being clear about the outcome of the speaker’s presentation. Different speakers have different strengths. Some are entertaining; some are organized; some are inspirational. Hiring an entertaining after-dinner speaker to give a mid-morning keynote address might not be a great fit. 3. 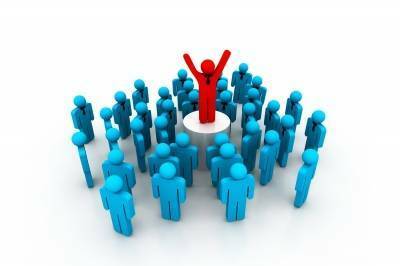 Hiring an egocentric speaker. You can recognize egocentric speakers by their need to squeeze their story in, regardless of whether it will help you achieve the objectives of the event. A good keynote speaker thinks of the people in the audience first and leaves a lasting, positive impression on them. 4. Ignoring the role of the speaker in meeting the event organizers’ objectives. Professional speakers work with the event organizers to help them achieve their objectives. 5. Not having a follow-up strategy. For events where you want to bring about lasting change—for example, among a small group of co-workers—a one-time event rarely works. Professional speakers should be able to give you suggestions on ways to follow-up. For example, the speaker might offer one-on-one consulting, or he might know another speaker who has expertise in the area, or he might be able to recommend reading material or an on-line course. 7. Hiring the cheapest speaker. You get what you pay for. Once you have your budget, hire the best speaker you can afford. 8. Focusing on lowering the fee. A good speaker comes with a large fee. While it might be tempting to try to get the speaker to lower the fee, focus instead on increasing his or her value. Explore whether there are extra things that the speaker could do for his normal fee—for example, a some short one-on-one meetings with a couple of people in the audience—at the end of the event. 9. Getting the speaker in and out quickly. Involve your speakers in the programme. Have them attend previous sessions so that they can build on what has been said. Also have them be available afterwards as people love to talk to the keynote speaker. 10. Hiring a speaker when you need something else. Sometimes, you don’t need a big speaker; sometimes, other solutions will work. For example, you could have a panel discussion involving three or four key people from your company or trade association. There are many things that you must think about when organizing an event. On some things, you might be able to cut corners. A keynote speaker is not one of those things. Avoiding the above-mentioned mistakes will help ensure that your hired speaker adds real value to your event. If you would like to get in touch with Paul, he can be reached at paul.rulkens@dsm.com. This entry was posted in Guest Posts and tagged Business Services, Conferences, Keynote, Keynote Speaker, Paul Rulkens, public speaking. Bookmark the permalink. You posted Great information here about ten common mistakes when hiring keynote speaker. It’s really very common mistakes. Thanks for aware to us about that. I am impressed to read this information about it. I have also some knowledge about it. and I agree with it. I also want to visit here for knowing more about it. Can u posted more information about how to hiring the best keynote speaker? Thanks Andrew. I’ll keep it in mind and if I come up with another good angle on hiring keynote speakers, I will write a post on it. Recently, a great friend was asked to speak at at gala as a motivational speaker. She was told she had 15-20 minutes. However, she was asked to cut it short when she went over the 15 minute time limit. She continued to speak for another 5-7 minutes after given a two-minute warning. What would have been the best thing for both parties involved and is going over when given a two minute warning a good way to complete your message? The first thing that I would say, based on what you have written, is that your friend and the organizer needed to coordinate better before she spoke. If she really had up to 20 minutes for her speech, I wonder why she was told to cut it short after 15 minutes. Now, if the gala was running late, the organizer should have asked her to cut the speech down to 15 minutes before she stood up to speak. Then, it would have been up to your friend to adjust her speech accordingly. See this post that I wrote on how to manage your time for ideas on this point. Going over time is almost never a good idea. (See the above-mentioned post.) However, in this case, it sounds as though your friend pretty much kept to her allotted time. The best thing is for both parties to be clear about how long the speaker should speak, and for the speaker to stay within that time. Thanks very much for the comment. Glad you liked the post. The credit goes to Paul Rulkens. And as for putting a link to my blog on your site, I’d be delighted. Thank you! John, good post. And as a regular speaker at all kinds of conferences, I’d suggest that the organisers make sure that there’s links made between the speakers and their content as part of the planning for the event – then in their planning, the speakers can look to link backwards and forwards in their speeches to previous speakers (and to the ‘company’ men and women who’ve spoken). Thus giving the impression (truthfully) that the whole event is a well planned and coordinated message, not simply lots of speakers thrown together. Thanks for the comment, Jim. I like the metaphor very much – links in a chain. For the chain to hold, the links have to hold together. Nice. Thanks for the comment. Much appreciated. I have MC’d at two weddings (brother and sister) and been Best Man at another (a lifelong friend). While I can’t think of one speech that I’d recommend to watch, there are a number of decent ones on YouTube that are easily searchable. Having said that, I hunted around in my saved files and was able to resurrect this post from 2008 that I came across some time ago. It contains practical, commonsense advice for giving a great Best Man speech. I hope that you (and the Best Man) find it useful. Good luck to you both! Cheers, Chris. You can reach me at john.s.zimmer@gmail.com. All great suggestions. I believe that many of these fall into the category of ensure the vision, mission and goal is agreed to by all involved parties before proceeding. Thanks, Myles. That’s a nice way of putting it.